The Playstaion Network is down today, September 21, 2010. Read below from Sony's Website for more information. Note: When you log into the PlayStation Network, a message may appear which states, "the PlayStation Network has been suspended". This does not mean that your account has been suspended; it simply means the PlayStation Network has been taken offline. Please wait until the maintenance window has passed before attempting to connect to the PlayStation Network again. We apologize for any inconvenience this may cause. 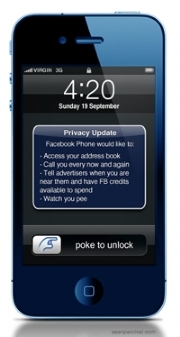 The buzz keeps getting louder about the Facebook Phone. It looks like Facebook is developing a phone that will be super-connected to the Facebook.com social networking site. The question is how will a company that is not known for customer service, Facebook handle the customer service needs of smartphone users. This same scenario did not work out so well for Google and the Nexus One. When and if Facebook releases their new smartphone, we will bring you the customer service information for the new Facebook phone.